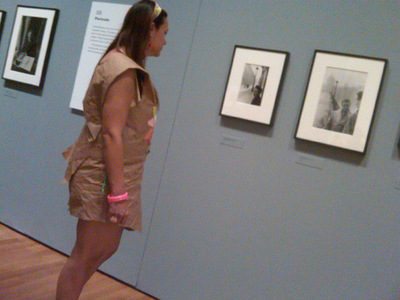 I have been working on designing these recreations and spin-offs of my first costume that I wore in a kindergarten production of Annie, where I was a flower in “The Sun Will Come Out Tomorrow.” The flower costume was very simple: just a large brown paper bag (the kind the used to give you at grocery stores before the 90’s), with a colored construction paper flower glued to the front of it. 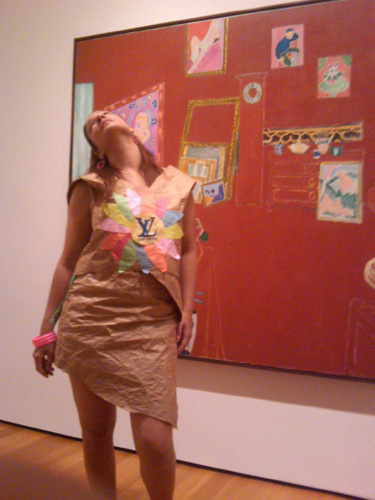 There is a picture of me wearing it here as I anxiously prepare for my first show, one of my Found Performances from 1980. 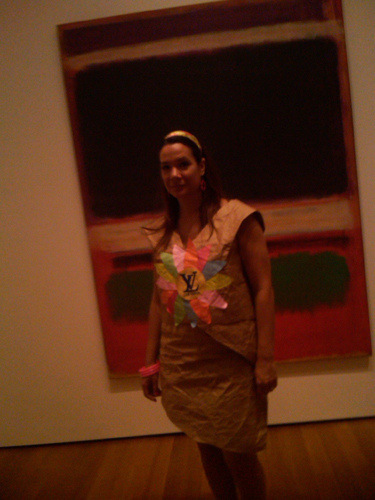 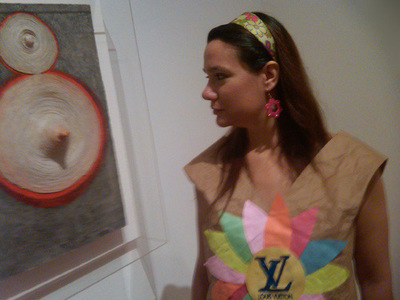 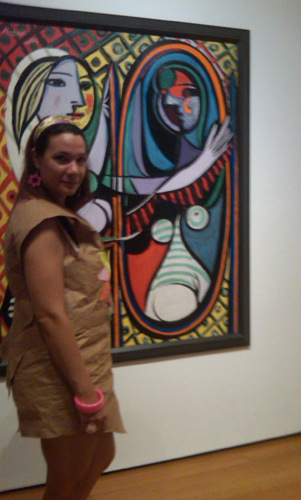 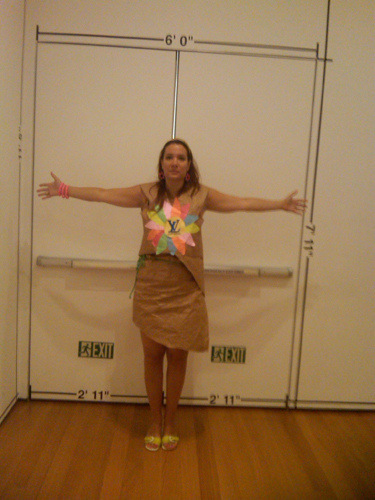 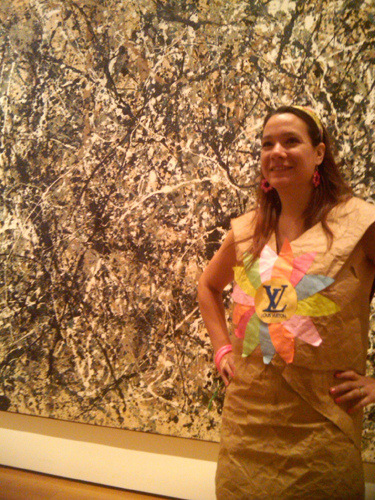 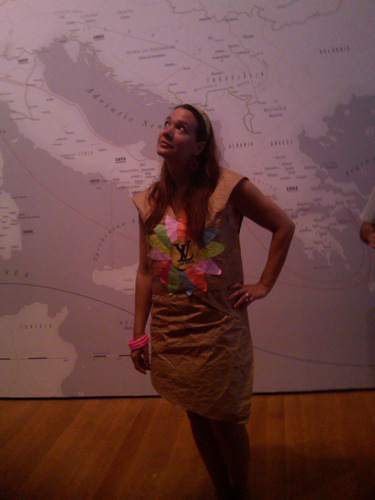 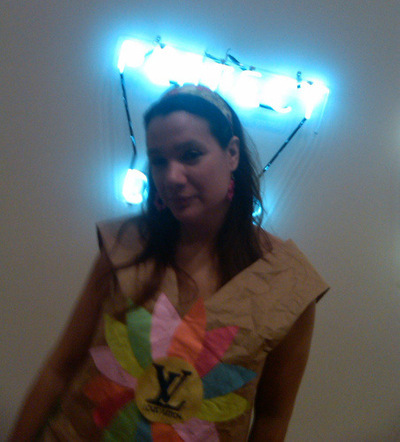 Marina Abramovic’s “The Artist Is Present” was going on at the MoMA, and I wanted to wear something special, so I decided to create a new paper dress just for the event. 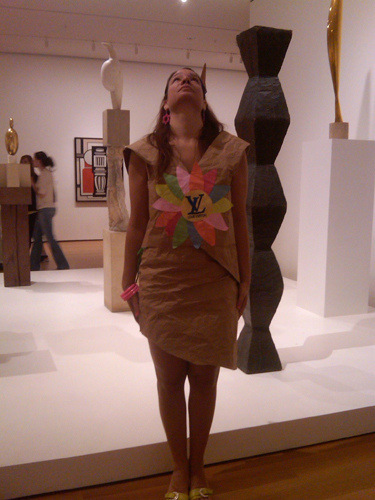 I have also been doing this ongoing project involving corporate logos, and thought it would be interesting to incorporate the logos of the sponsor for Marina’s shows, the high fashion/lifestyle conglomerate LVMH Moët Hennessy Louis Vuitton. 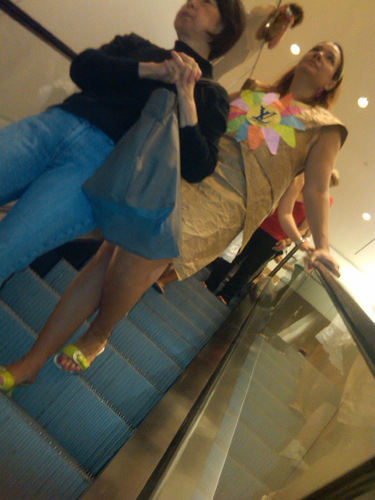 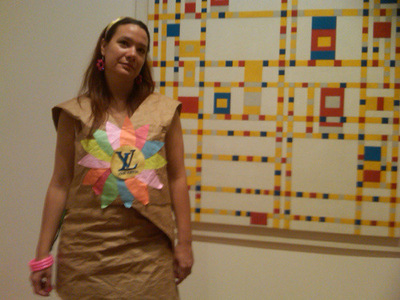 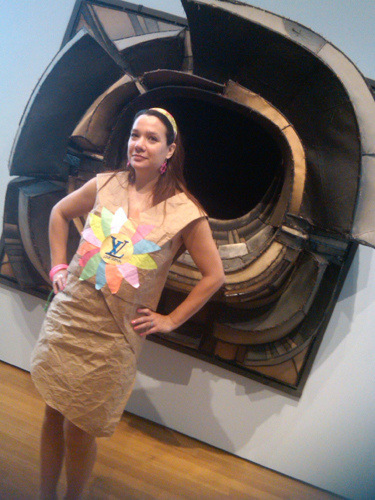 I designed my very own super fancy Louis Vuitton paper dress, with a layered top, wrap around skirt, and the construction paper flower. 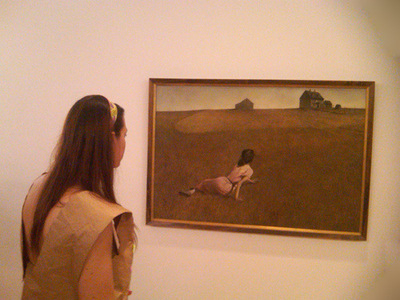 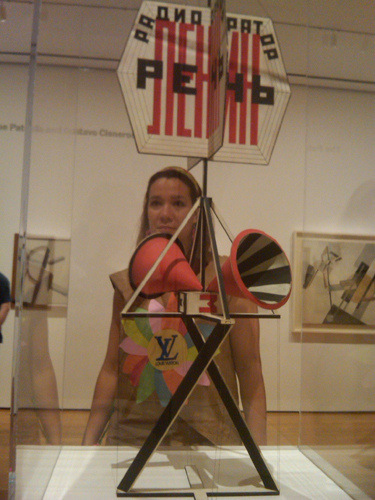 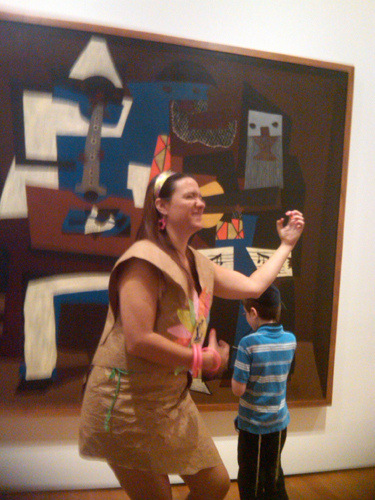 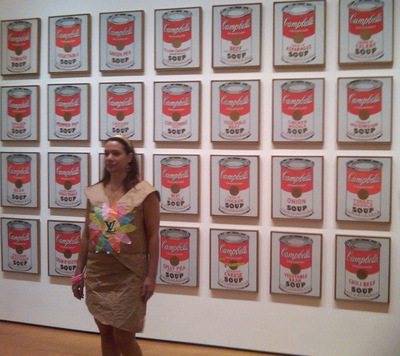 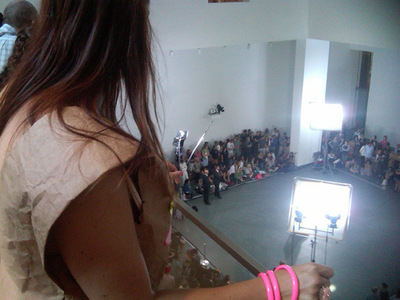 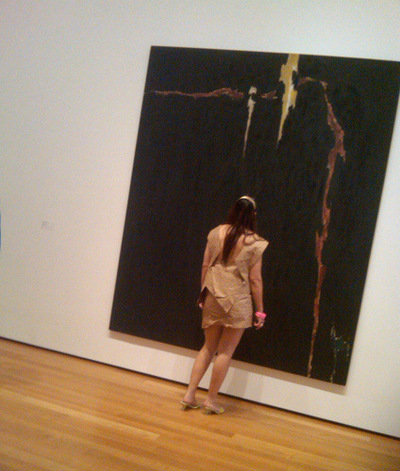 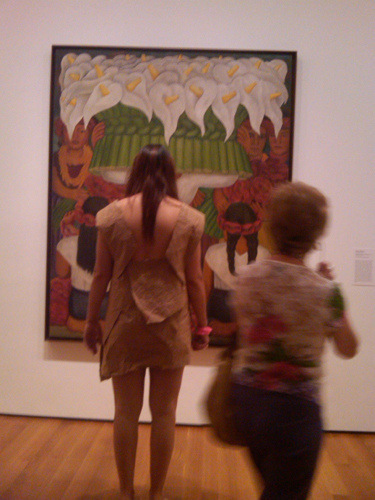 Ironically, when I arrived early at the MoMA, the line was already impossibly long and there was no way I was going to be able to sit with Marina, so I decided then to spend a day out at the MoMA in my dress and document this as my everyday life performance.